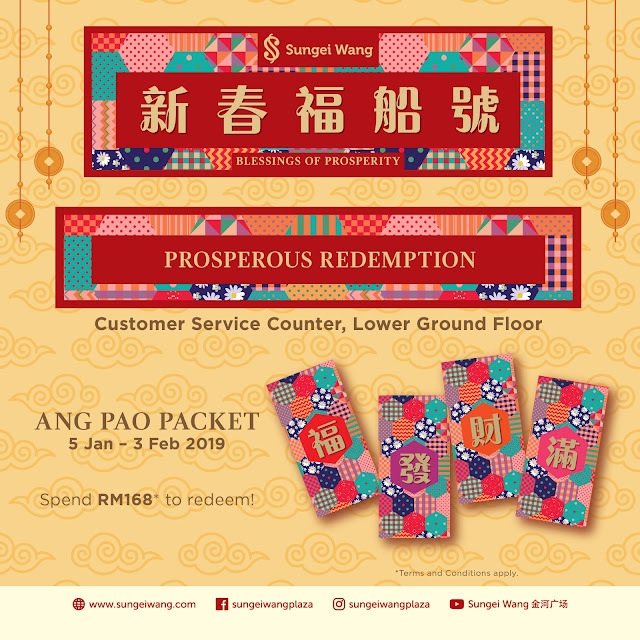 Sail into spring as Sungei Wang celebrates this Chinese New Year season of goodwill and happiness with the theme “Blessings of Prosperity”. The celebration commences from 5 January to 11 February 2019. 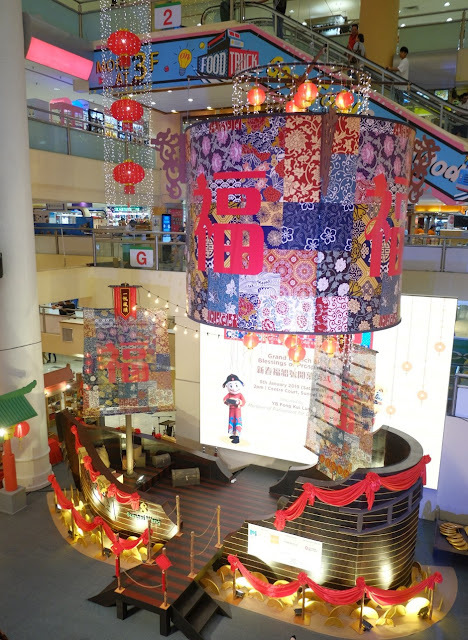 This year, begin your festive jaunt at Sungei Wang, where all manner of oriental decorations and displays await you to discover. Promises with millions blessings of good fortune and happiness, Sungei Wang brings you a life-sized golden sailboat display as the centre stage. Pairing with oriental patchwork quilt as one of the elements from the decorations, it brings meaning of blessings from different families, people or individuals. Cascading from the top, a giant lantern surrounded with dangling mini lanterns are to bring good fortune to shoppers. Inspired by the ancient port in China, shoppers can expect strolling into Sungei Wang Prosperous Market Hall take on to a shopping spree and explore wondrous array of festive delights and products such as CNY home decors, CNY hamper and Chinese traditional costume that are perfect for the season of gifting and decorating. “Lunar New Year is the biggest celebration for the Chinese ethnicity. This year, Sungei Wang brings “The River of Gold’ to life wishing shoppers abundance of prosperity. Shoppers are welcomed to hop on to our life-sized golden sailboat and command like an ancient captain. 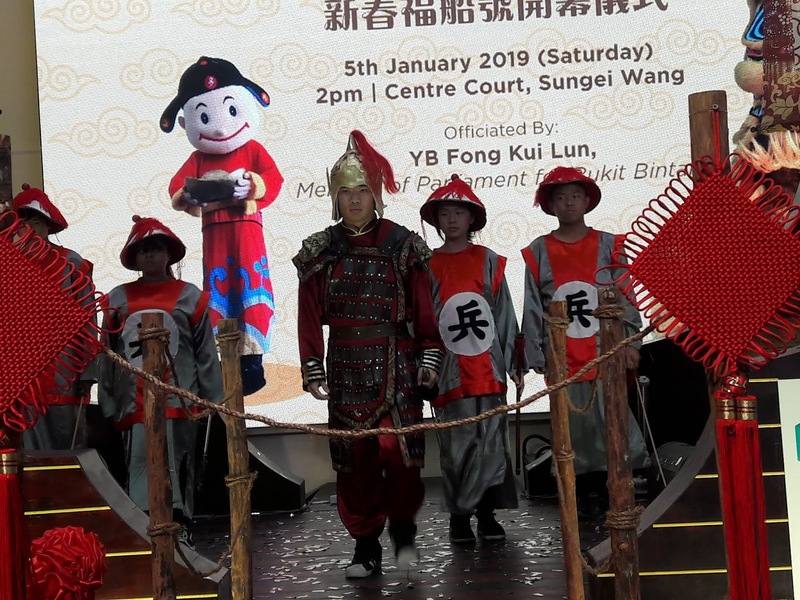 Besides, we have added oriental patchwork quilt as one of the main elements from the decorations this year, hope to reminisce and inherit this heritage to next generation”, says Mr Abdul Hadi, Acting Complex Manager of Sungei Wang. To kick start the campaign, a fascinating Grand Launch of Blessings of Prosperity was held on 5 January 2019. 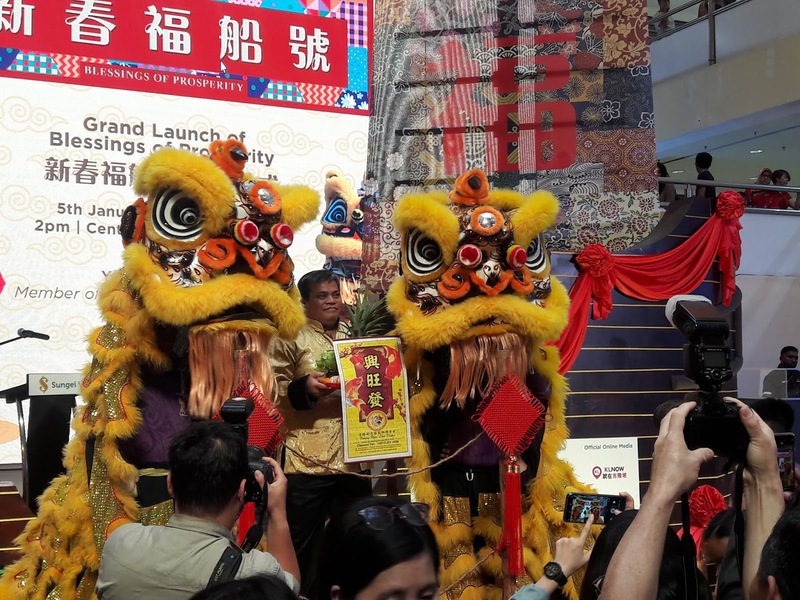 The launch was kicked off with a stunning acrobatic lion dance performance by the multiple international award winning dance troupe, Kwong Ngai Lion Dance. Thereafter, a video on Sungei Wang CNY Charity Initiative was shown where Sungei Wang management visited Siri Jayanti Metta Care Centre, an elderly home located at Setapak. Representatives from Sungei Wang Plaza Merchant Association was present to mingle with the elderly while SCCA provided free haircut to the elderly to welcome the Chinese New Year. The elderly were then entertained by lion dance performance and appearance of God of Prosperity. The home visit ended with a yeesang tossing session with everyone. The launch was officiated by Mr. Lee Bing Hong (Secretary for YB Fong Kui Lun, Member of Parliament for Bukit Bintang), Ms Yuen May Chee (Property Manager of Sungei Wang) and Mr Abdul Hadi (Complex Manager of Sungei Wang) by opening the sail from the sailboat bow ensuring the brand new year of smooth running. Thereafter a Yeesang Tossing ceremony that signify blessings of good wealth and prosperity to kick start the year. The launch ended with CNY Warrior Dance Performance. Meet Amber, the local renowned YouTuber up close and personal on 26 January 2019 for her first meet and greet session. Amber will be making a public appearance to interact with her fans. There will be fun games and prizes including a smartphone, electronic appliance, Museum of Illusion KL entry tickets and Serene Aesthetic beauty vouchers to be given away as well. Shoppers are advised to arrive early to snag a beautiful spot. Be entertained with the exquisite and traditional Chinese cultural performances. 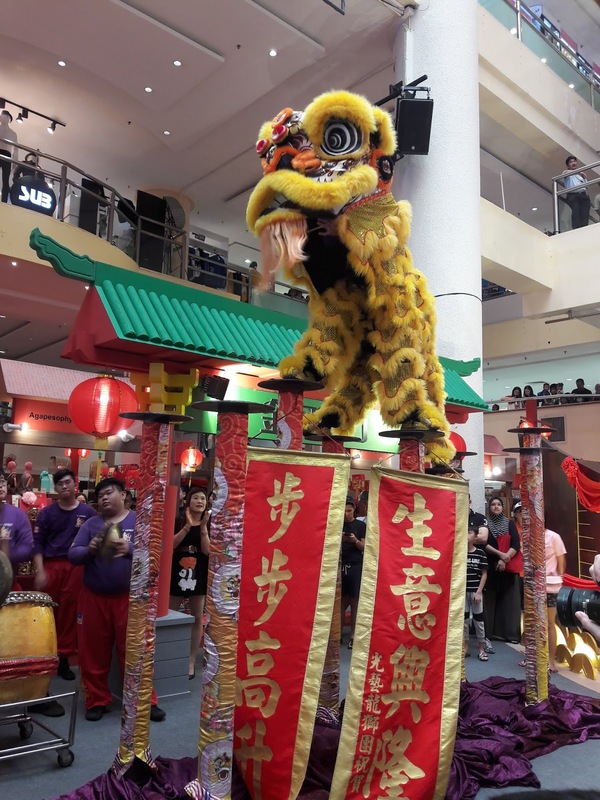 There will be lion dance performances, acrobatic lion dance performances, CNY dance performances and god of fortune walkabout on weekends to elevate your Chinese New Year shopping mood. Get your kids to join in learning with fun origami workshop on 1 February 2019 and it is absolutely free of charge. Register now at Customer Service Counter, LG Floor. Limited seats available so hurry and register now. 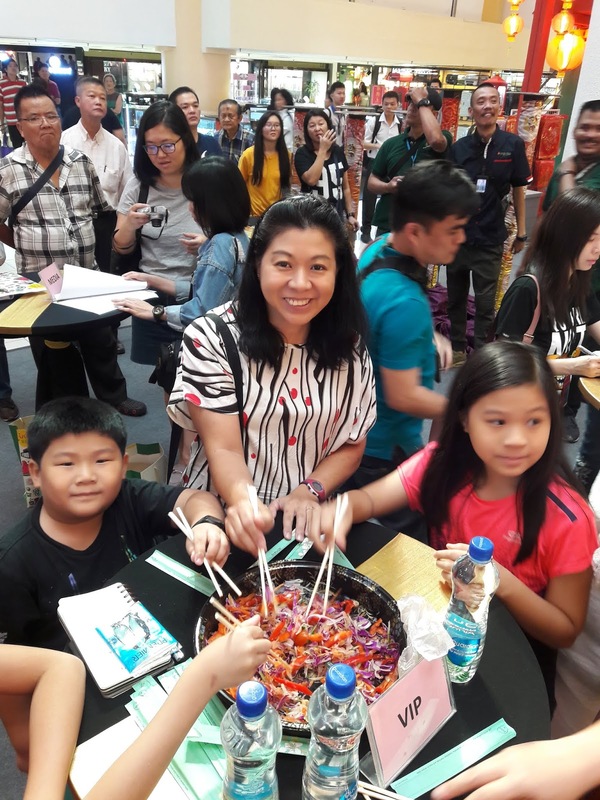 Not forgetting the less fortunate during the times of celebration, Sungei Wang initiates a Charity Drive to raise funds for Siri Jayanti Metta Care Centre, an elderly home located in Setapak. Show your love and donate generously to Siri Jayanti Metta Care Centre. All donations will go to the home for daily necessities and facilities upgrading work. Shoppers will be rewarded with festive redemptions when they spend in Sungei Wang. 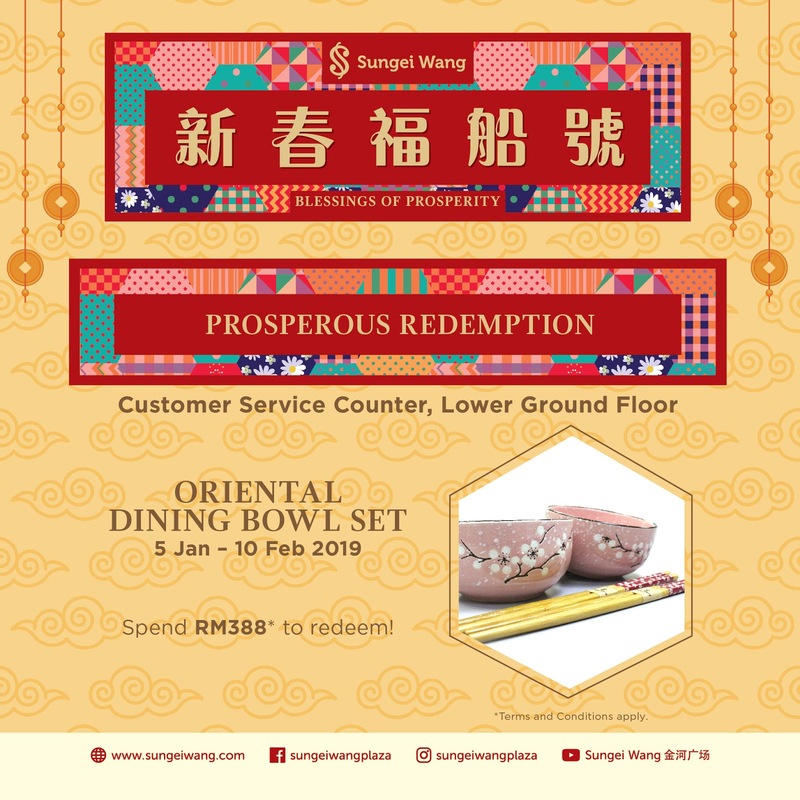 Spend RM388 and above in two accumulated receipts to redeem exclusive Oriental Dining Bowl Set. Spend RM168 and above in two accumulated receipts to redeem weekly collectable Ang Pao packet. “Blessings of Prosperity” is proudly presented by Sungei Wang. Museum of Illusion Kuala Lumpur, Serene Aesthetic and The Bowls as Sponsor, PARKROYAL Kuala Lumpur as Official Hotel, SCCA, StarMode Entertainment and Yites Event as CSR Partner. For latest information about the events and promotions at Sungei Wang, kindly visit: http://www.sungeiwang.com or Sungei Wang Facebook at www.facebook.com/sungeiwangplaza.